A Green Revolution for Africa is emerging after decades of neglect of Africa’s agricultural systems. To counter these years of neglect, the then United Nations Secretary-General Kofi Annan called for “a uniquely African Green Revolution”. Since then, a number of initiatives have emerged or are emerging to realize this important vision. As more money and attention galvanizes much-needed action on the African Green Revolution, a vigorous debate is required to ensure that the mission of improving food security on the world’s poorest continent is achieved in the most effective, comprehensive and inclusive manner possible. The African Green Revolution cannot be limited to increasing yields of staple crops but must be designed as a driver of sustainable development, which includes gender empowerment and nutrition elements. 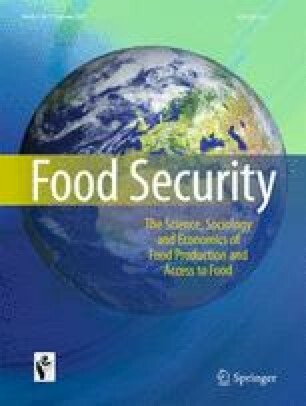 This paper first reviews the Asian Green Revolution’s successes and shortcomings from a nutrition and gender perspective and then outlines what the global community can do to ensure that some of the limitations of the Asian Green Revolution, specifically with regard to nutrition and gender, are not repeated. The authors are grateful for the comments on the manuscript by and support of Glenn Denning.